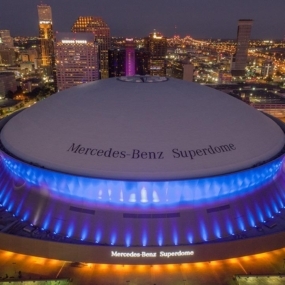 From corporate celebrations to team building events, the Mercedes-Benz Superdome has hosted it all. Treat your guests to an unforgettable experience by throwing your next party directly on the turf field — a spectacular backdrop that creates an energetic, game day atmosphere. 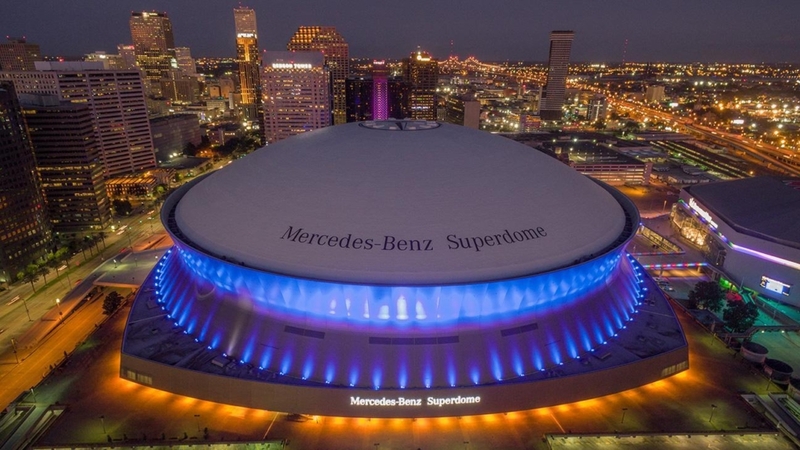 The Mercedes-Benz Superdome field can accommodate groups of 30 to 4,000+, and is guaranteed to create a truly one-of-a-kind experience for your next corporate event. 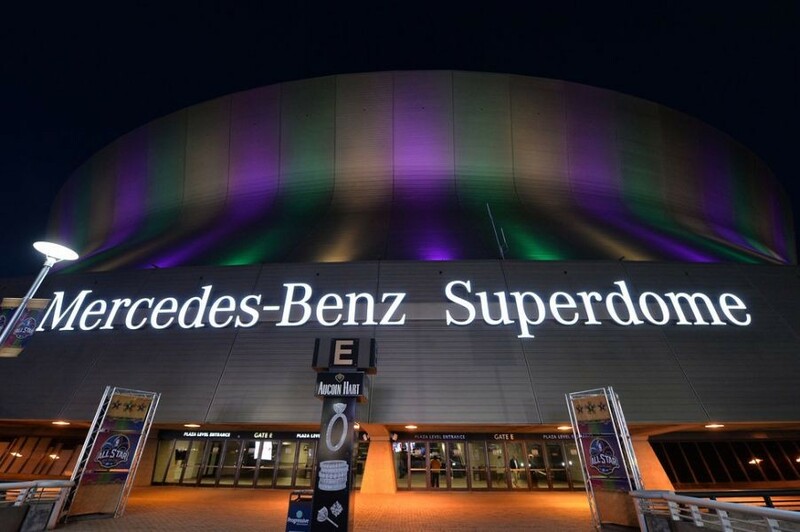 Located in the New Orleans Business District, this venue offers an array of entertainment options throughout the year. 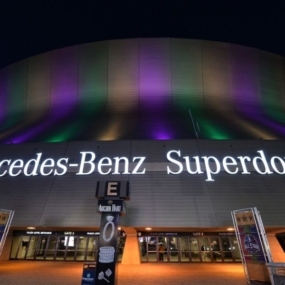 The Mercedes-Benz Superdome has hosted major events for more than three decades, including Superbowl XLVII and annual events like the Essence Music Festival and the Sugar Bowl. This versatile New Orleans venue can be transformed to accommodate large and small conventions, trade shows, team building events and meetings. 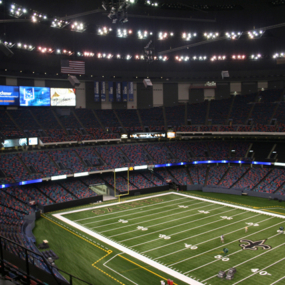 The Superdome can serve as a blank canvas for almost any type of event. 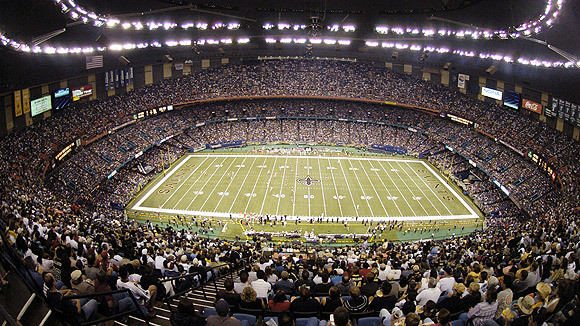 For some added fun, the Superdome also offers interactive entertainment onsite, including punt, pass and kick activities, football inflatables, marching bands and more. 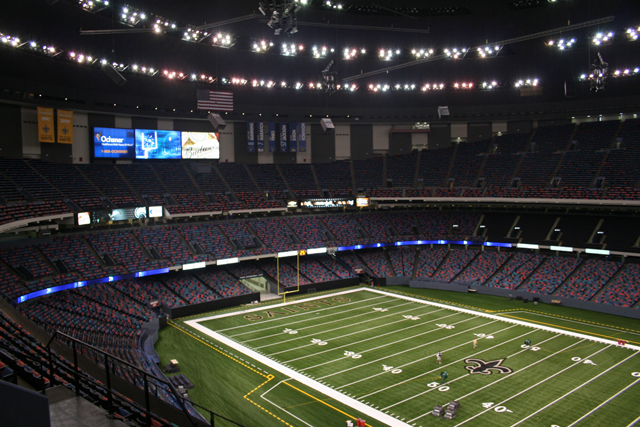 The Superdome’s large, versatile staging areas will make planning your next meeting or event a breeze. 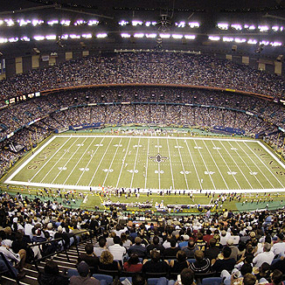 Events can be scheduled during football season from mid-August through January. The Astroturf can also be installed during the off-season for special events.